1. Click Settings at the top right of the screen. 2. 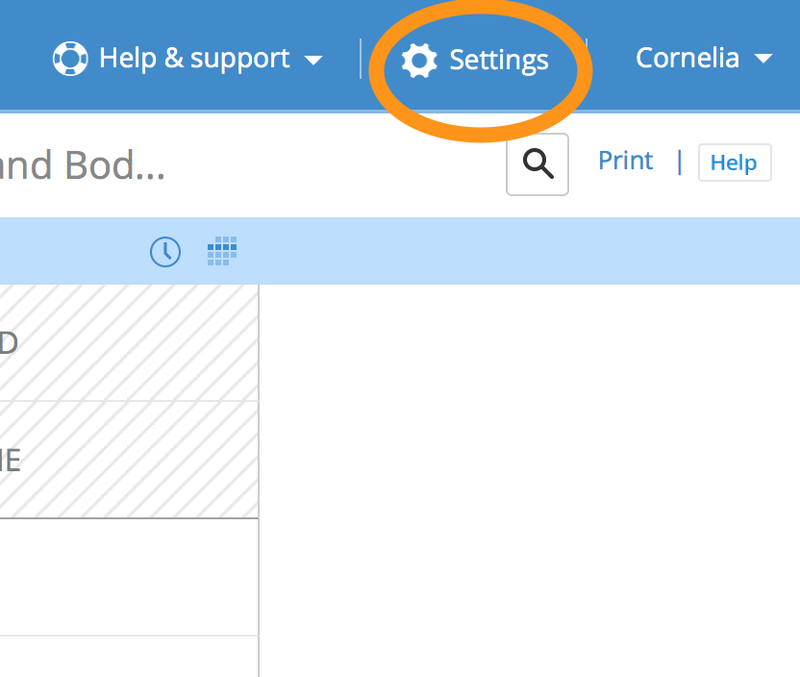 Click "Staff" on the Settings page. 3. Click "Add a new staff to this group". 4. 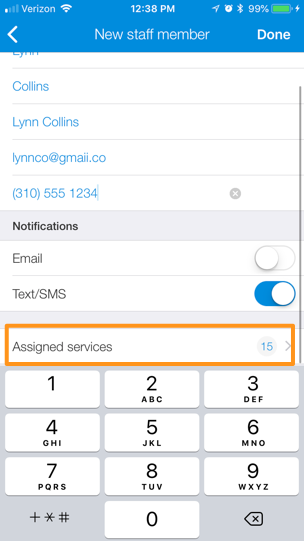 Enter the service provider's name and contact details, then choose the services to which they're assigned on the right side of the screen. 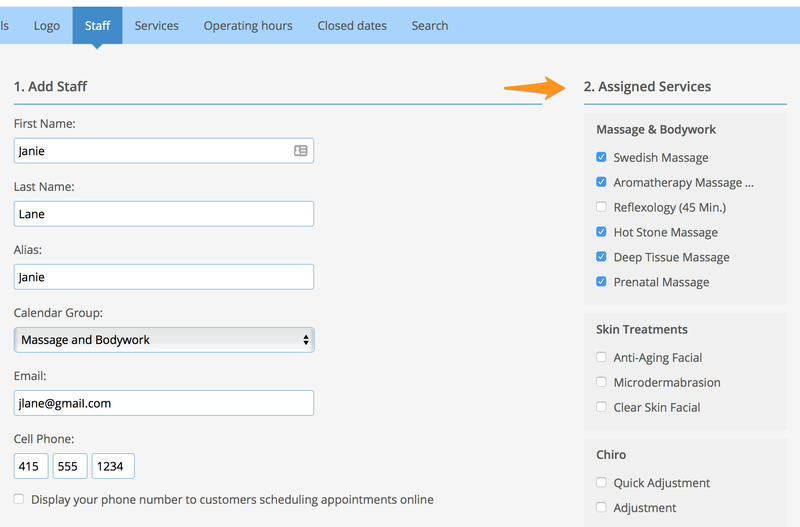 The "alias" indicates how the name will appear on the scheduling page. 5. 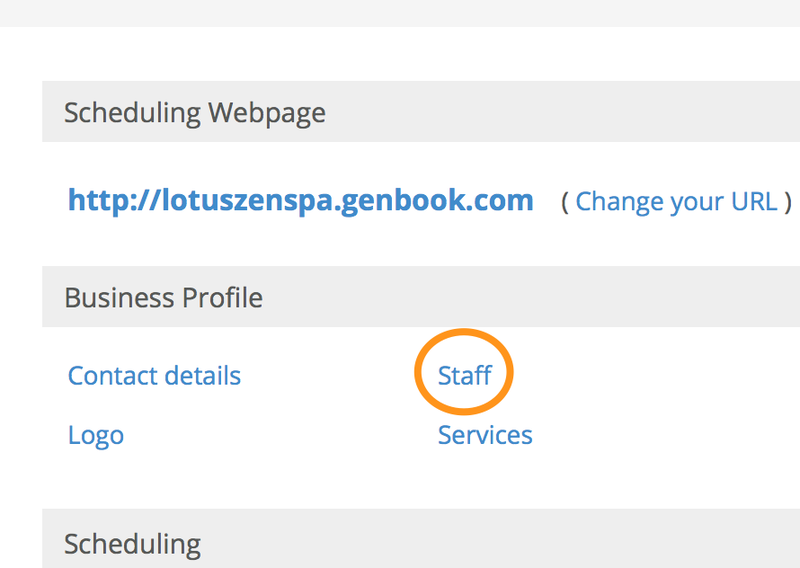 Choose which types of notifications you'd like them to receive (email, text, or both), look over the details and click the "Create staff member" button to save your new provider. 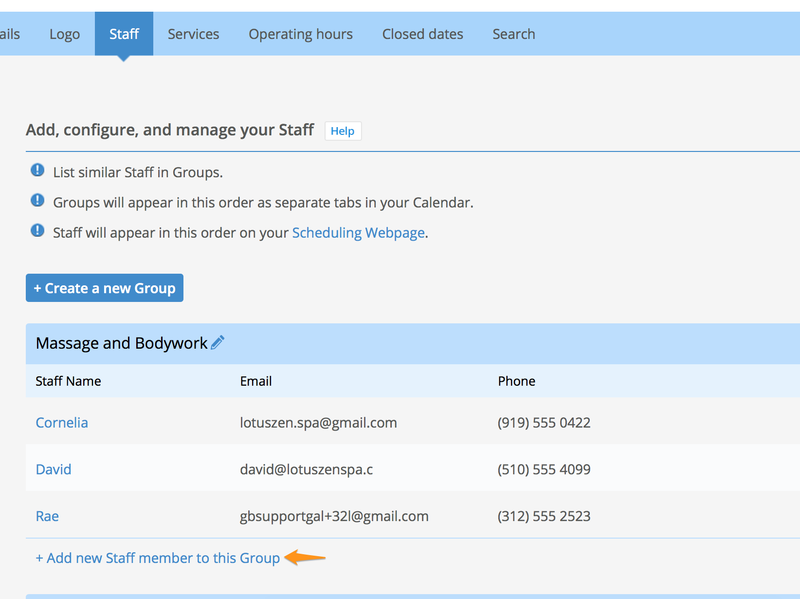 Once you've created a staff member, you can set their availability using Staff Hours and grant them login privileges with limited permissions under Access Rights. 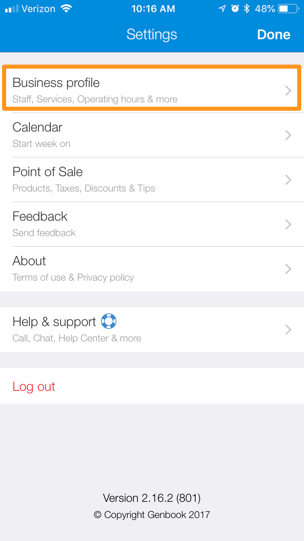 Tap the Settings gear icon at the top left of the screen. 4. 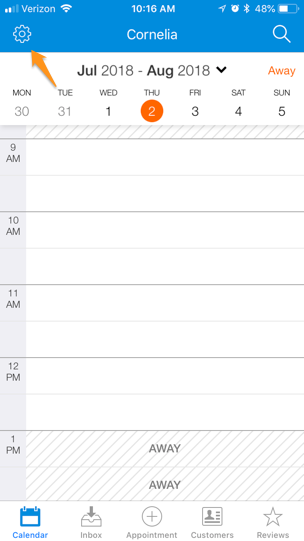 Tap the "+" sign in the upper right corner. 5. 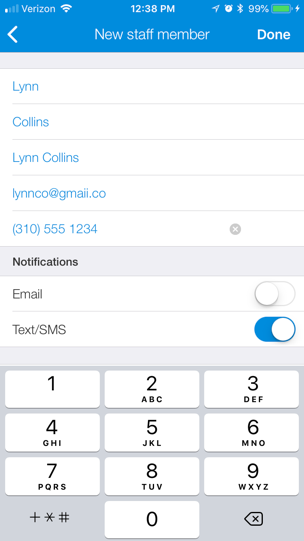 Enter the staff member's name and contact details and enable the notification type(s) they want. 6. 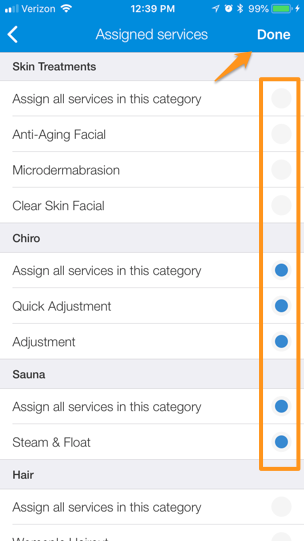 Scroll down and tap "Assigned services" to choose which services the staff person will provide. 7. 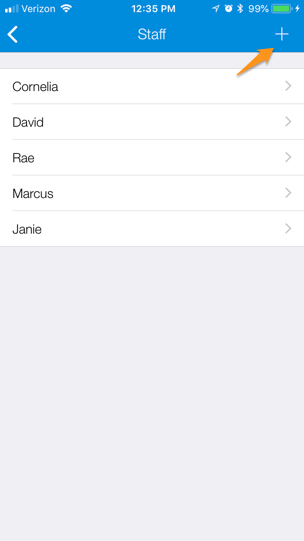 Tap the circle beside a service to deselect it. 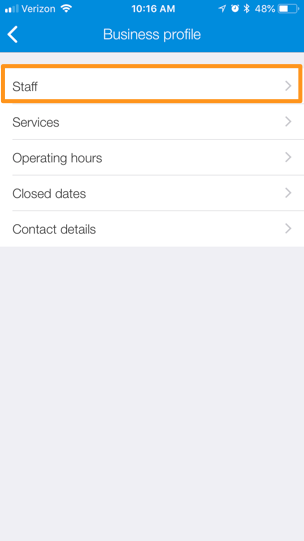 Once only the services this provider performs are selected, tap "Done' to save. 8. 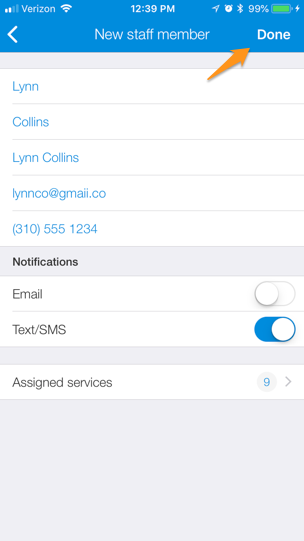 Look over your staff member's details and tap "Done" to create the new provider in your calendar.